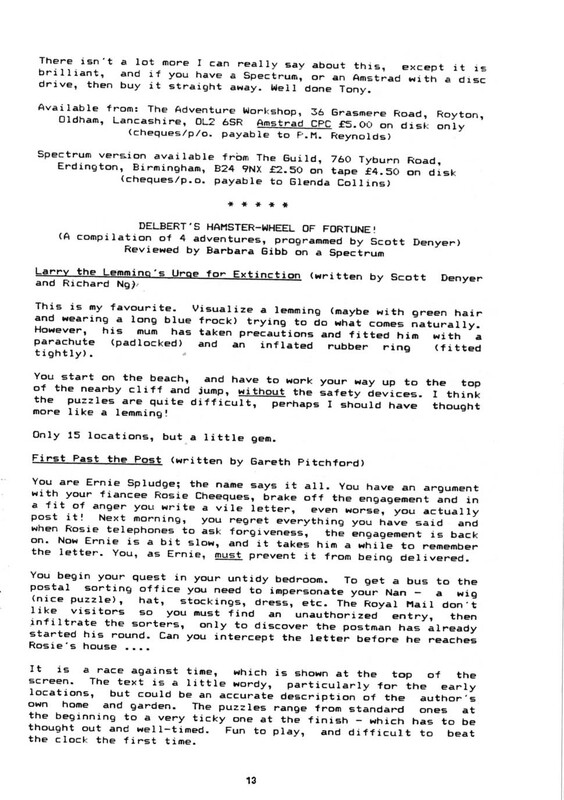 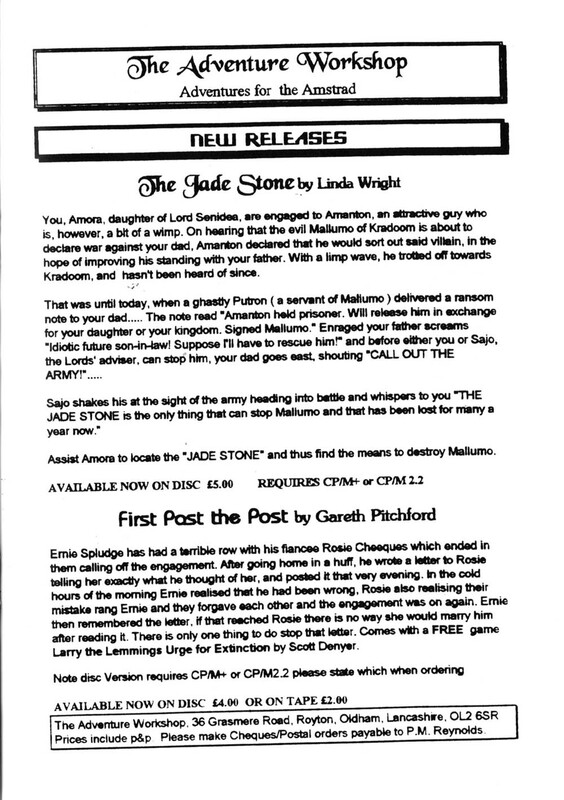 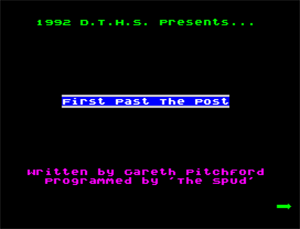 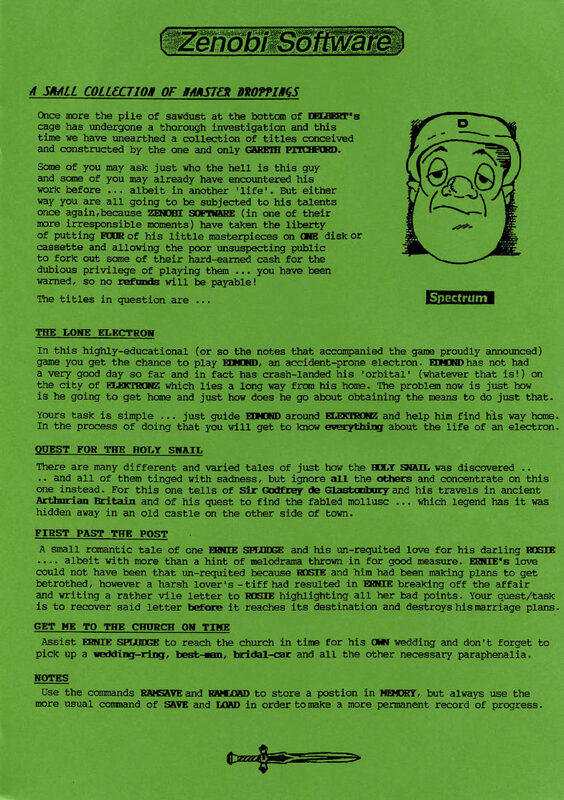 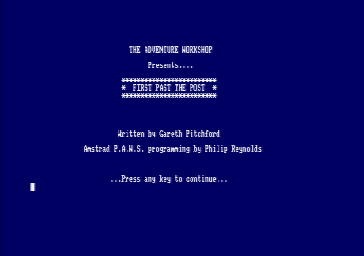 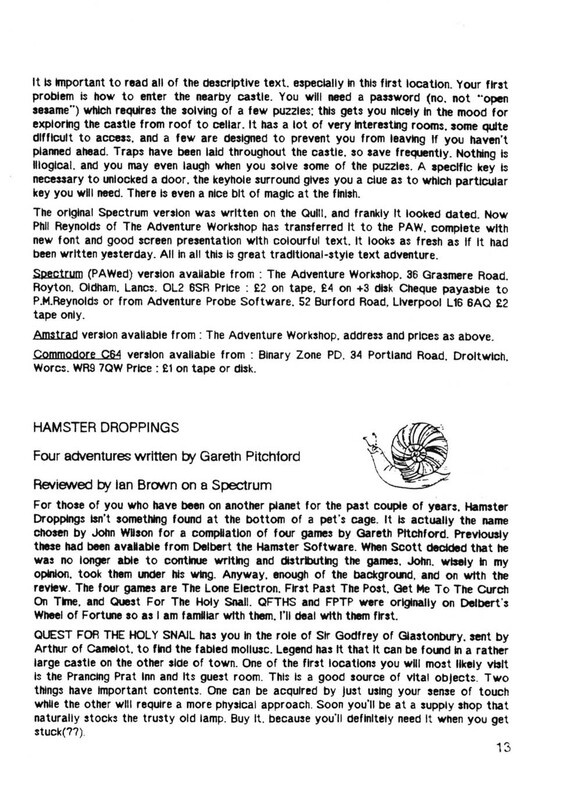 First Past the Post was the first installment of the Ernie Spludge series of adventures, initially produced for the ZX Spectrum 48K. 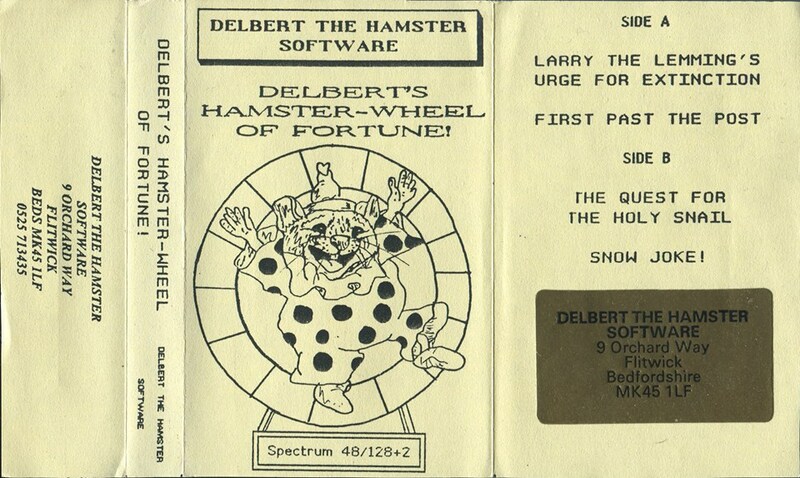 It made its first appearance on the Delbert's Hamster Wheel of Fortune compilation released by Delbert the Hamster Software in 1992. 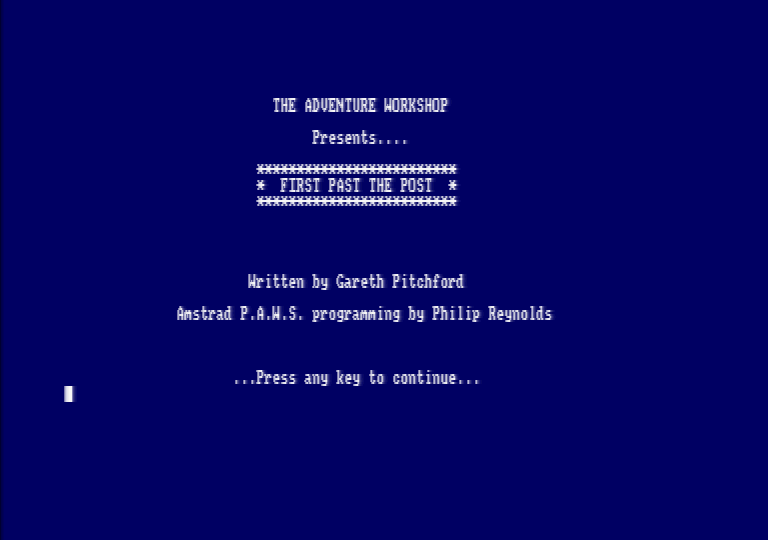 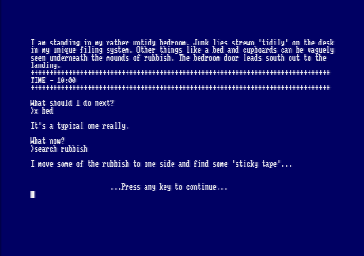 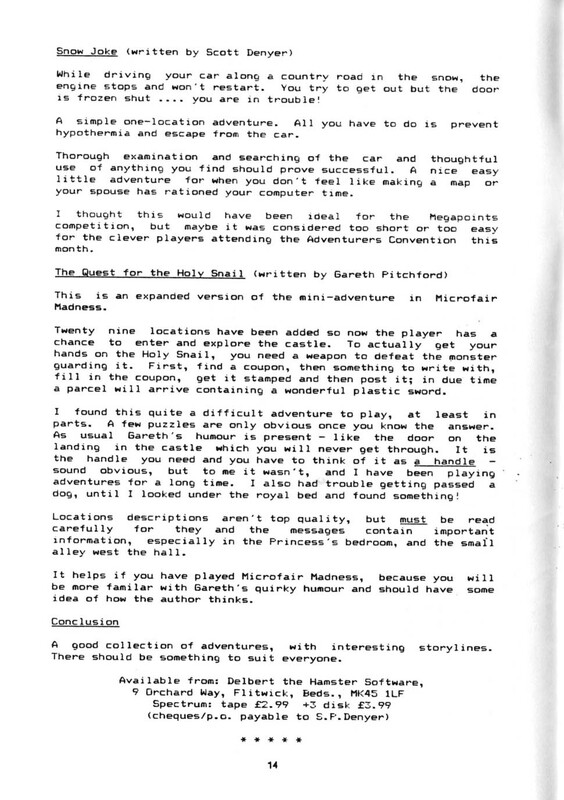 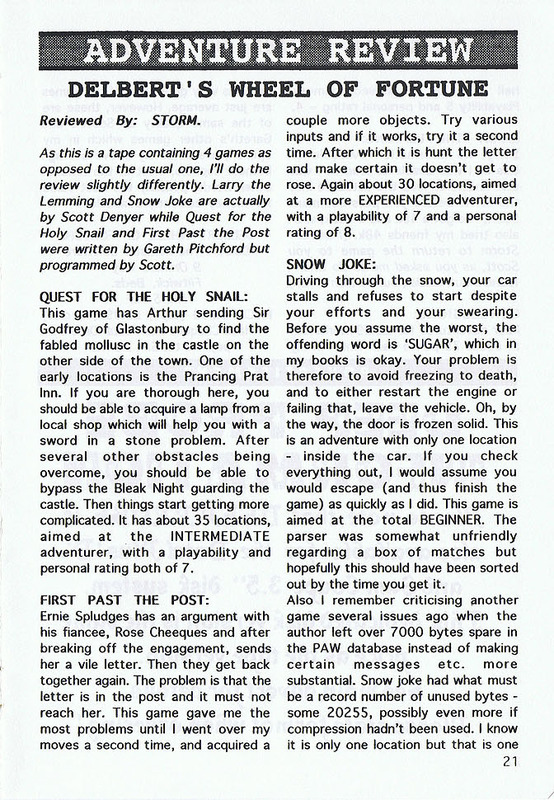 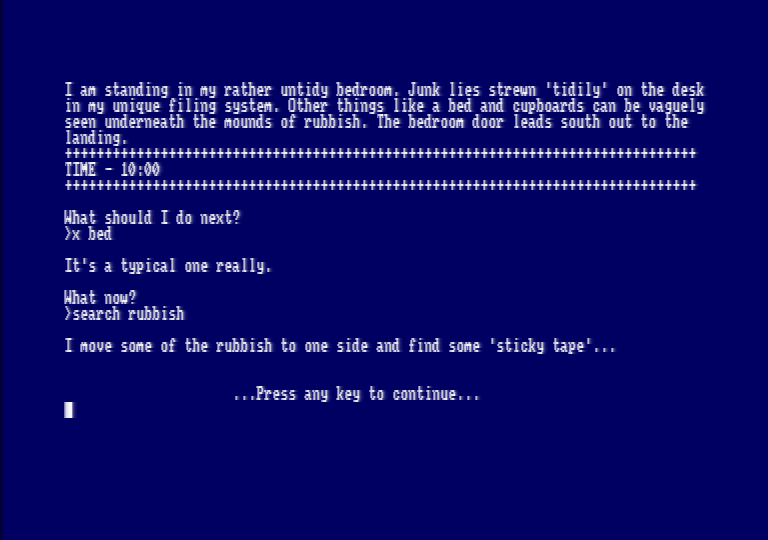 A PAWed Amstrad CPC/PCW CP/M version of this title was produced and sold by Philip Reynolds of The Adventure Workshop. 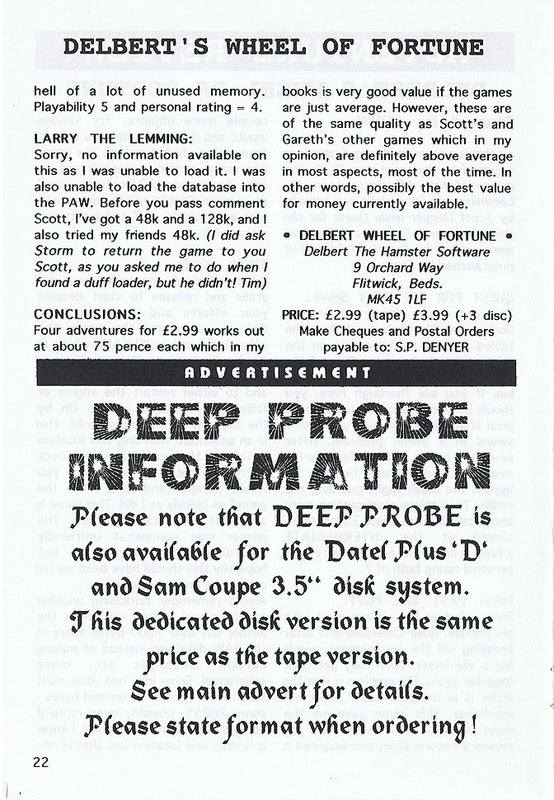 It was sold with Scott Denyer's 'Larry the Lemming's Urge for Extinction' on the B-Side. 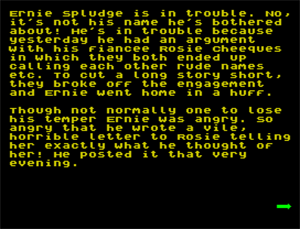 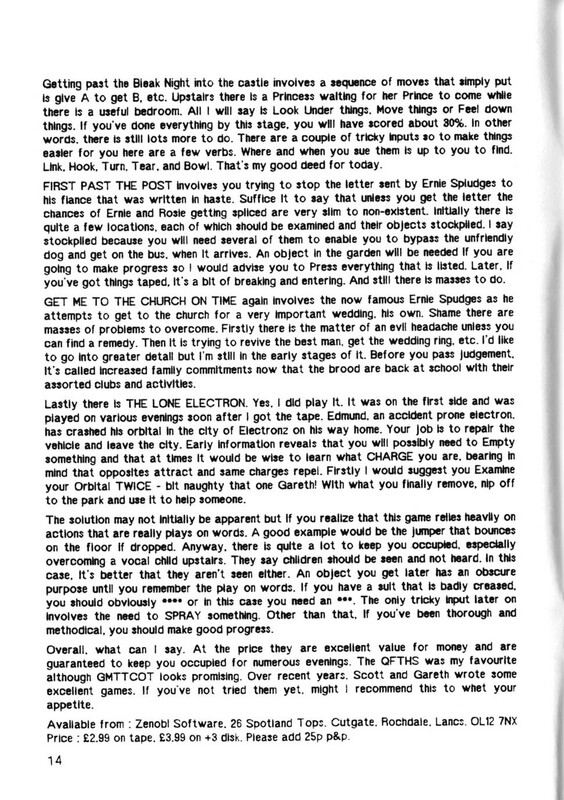 Ernie's adventures continued in Get Me to the Church on Time! 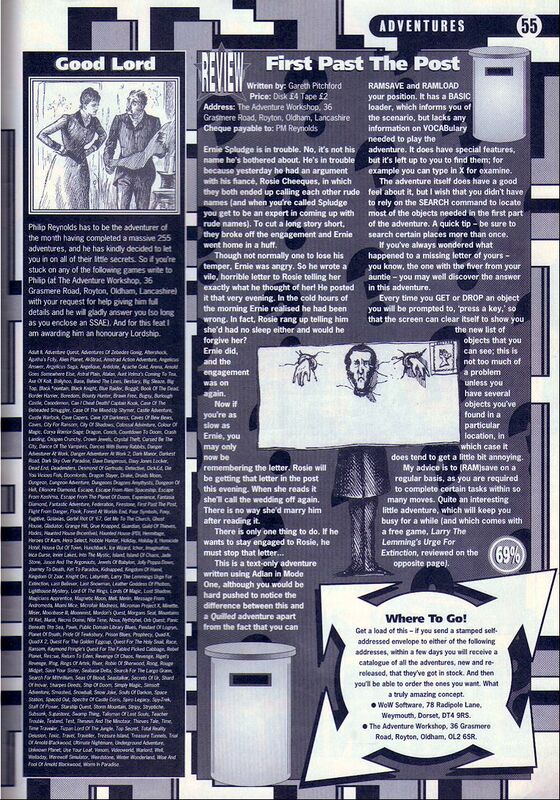 and Man about the House.